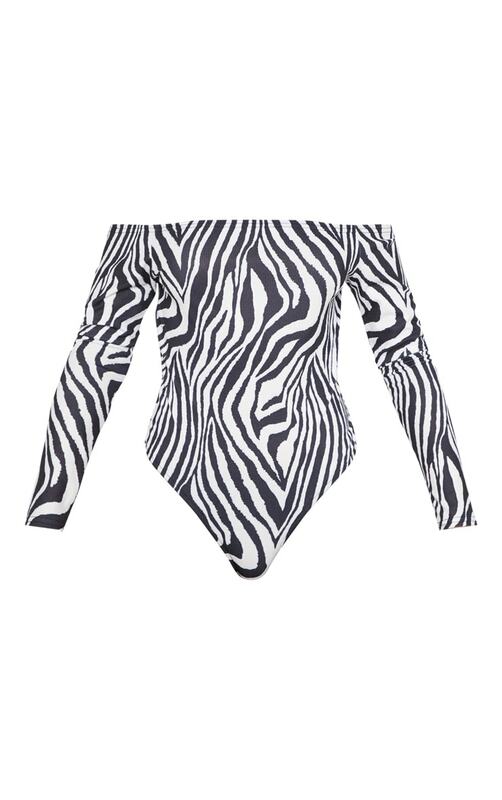 Ease those animal prints into your look with this bodysuit. 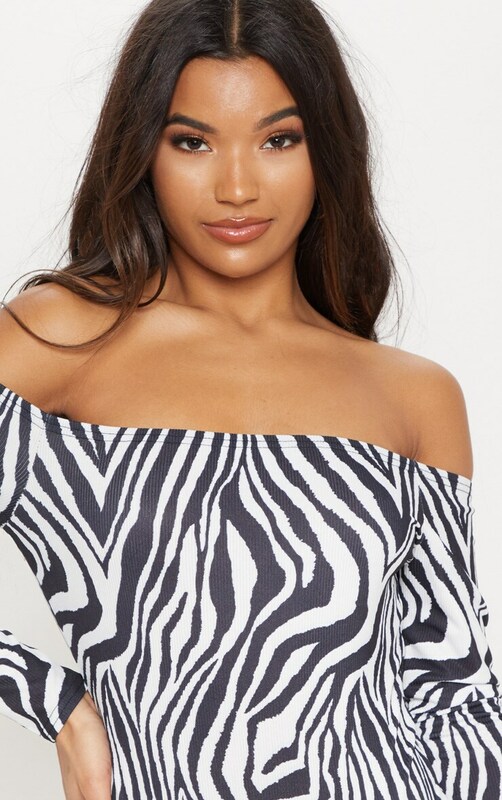 Featuring a monochrome zebra print, bardot neckline, long sleeves and popper fastenings. 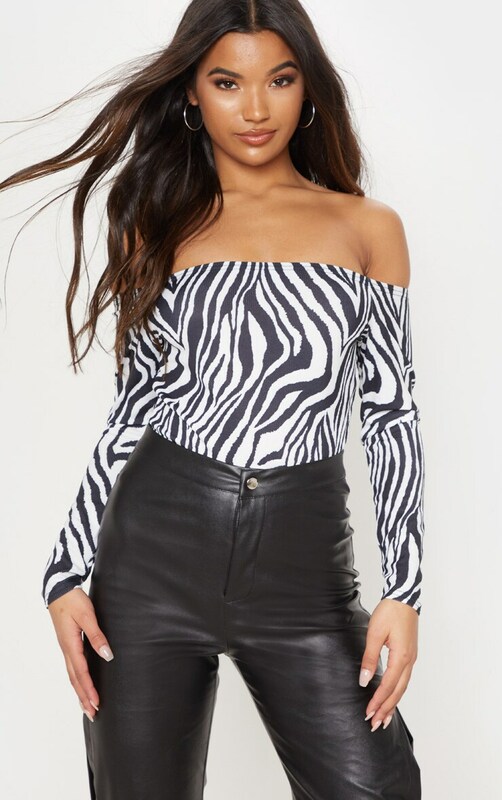 We love this teamed with leather trousers and black mules to complete this weekend worthy style.